Garage flooring in Boston,MA is a delicate balance of science and art. High-traffic spaces demand high-performance systems. 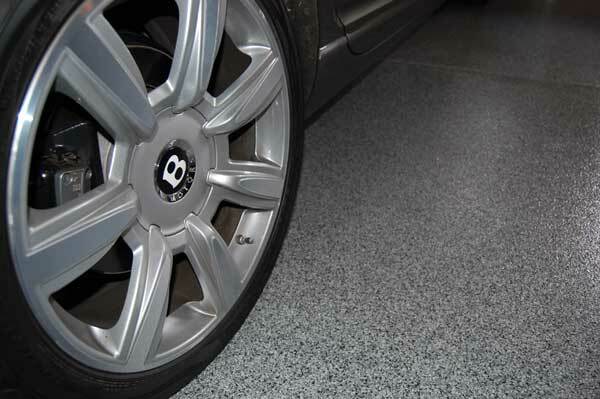 The Boston Garage floor coating is a high quality, stain-resistant, easy to maintain surface. Our concrete coating systems are UV stable, environmentally friendly, non-toxic and have low VOC’s. Available in hundreds of various color combinations, you now have the opportunity to customize your garage to fit the style of your home. Using an extremely durable hybrid polymer epoxy, our garage floor coatings are four times stronger and more flexible than standard epoxy. Unlike those inferior DIY concrete coating systems that can wear through or peel, our coatings permanently bond to the concrete for ultimate durability. Boston Garage flooring offers a contemporary, attractive finish that is no match for spills, stains or the extreme temperatures associated with the garage environment. With over 10 years’ experience, the team at Boston Garage can install garage flooring in rigorous environments and in adverse conditions, and still stand the test of time. 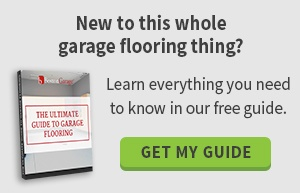 Garage floors in Massachusetts, Rhode Island, and Connecticut need to be ultra-durable to face the conditions we are faced with. Whether it is a Newton, Massachusetts garage floor with 2 SUV’s or a fire station concrete floor coating in Boston with 5 ton fire trucks, our floors have been battle tested and are prepared to look beautiful for years to come. Garage flooring installed by Boston Garage; the garage flooring expert can be reached for free consultations 24/7.